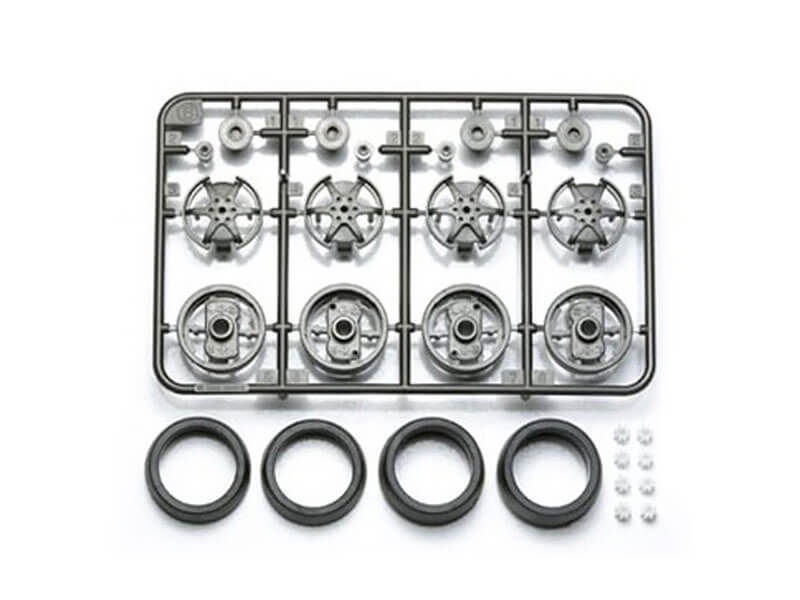 Customize your Mini 4WD machine with this Large Dia. 1-Way Wheel set. Large diameter wheels are important when you require fast speeds from your machine. These 1-way wheels will increase your machine's straight line speed and offer a smooth cornering performance.